St. Audoen’s National School was established in 1756 and is firmly rooted in one of Ireland’s oldest communities, The Liberties in Dublin 8. We are proud of our school and community, an area steeped in culture and tradition. Likewise, we encourage our student’s to be proud not only of their school but also of their community, the area in which they live and learn. We promote partnership between home, school and the community. This fosters a sense of trust between the pupils, parents/guardians and the school. 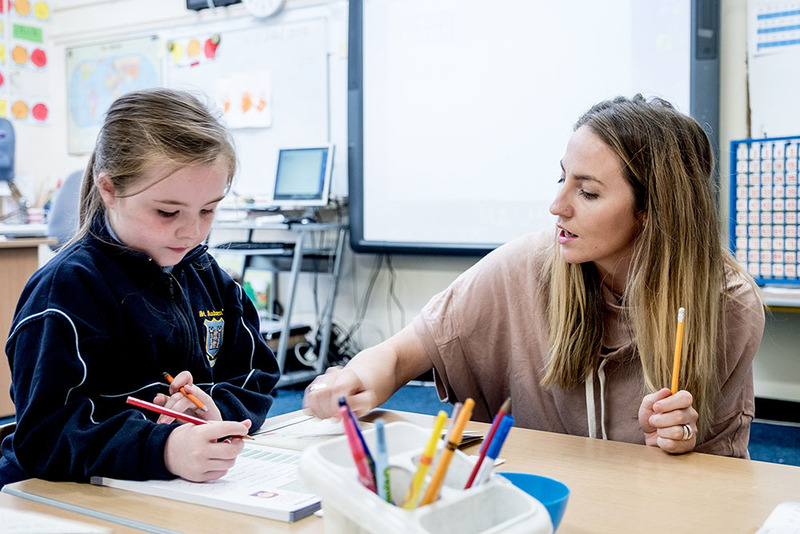 Teachers, parents and management share a common purpose – to promote the educational and social development of our pupils in a happy and progressive environment. Our staff are committed to each child’s education. We endeavour to prepare children for life while fostering the values of responsibility and respect. It is our continued commitment to provide a learning environment that is supportive, challenging and welcoming. We strongly support every child’s effort to succeed! While St Audoen’s National School is a school with a Catholic ethos, providing religious education in accordance with the teachings of the Roman Catholic Church, we respect the diversity of cultures, religious beliefs and traditions of other groups in society and this respect permeates all areas of school life. St Audoen’s NS is a peaceful school; we pride ourselves on consistently demonstrating our core values of Respect, Trust, Empathy, Encouragement, Appreciation and Belonging. Our school conveys a sense of warmth, generosity and enthusiasm as our children and staff are eager to smile and make all those who enter our school feel welcome. We believe in strong communication between the home and the school. Notes, newsletters, phone calls, home visits and meeting & greeting our parents each day, help us to forge strong bonds with our community.